This is my penultimate gift guide of the year, with suggestions ranging from a little over £100 to a little under £250. 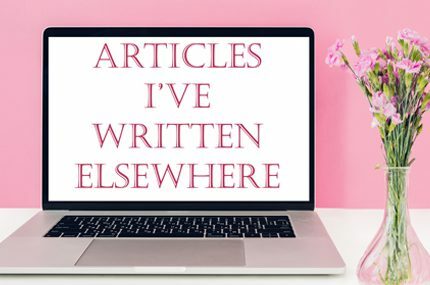 I think the pieces on my up-to-£100 guide were already pretty special, with silk and lace galore, which means that today’s picks are pretty much all firmly in the luxury category. This is the guide for those of you who don’t have an unlimited spending budget (that’s coming tomorrow! ), but you are happy to splash out and are looking to find the most beautiful and impressive pieces within your price range. If you want to give your gift on the 25th, remember to check the delivery times to your or your giftee’s country before you purchase, as we’re now just 5 working days away (so excited!). This plus-sized robe is available in two sizes, to fit from a UK 16 to a UK 30. The bright yellow daisies are super fun, and for an extra £75 you can include the adorable babydoll worn underneath too (sizes 36D to 42G or 44D). You can’t go wrong with a classic, black, silk-and-lace chemise, provided your giftee is into nightdresses of course. Cut on the bias, it has a wonderful, swishy fit, and is a great gift for someone with sensitive skin as silk is a natural, hypoallergenic and super-comfy fabric to wear. This is no ordinary bra! Know someone who likes their lingerie racy, lacy and definitely not boring? The ribbon lacing on this bra make it a statement piece, whilst the knickers feature a cheeky ouvert back with a clasp. Coming in at £124 for the set, this is an elegant bra set for a D+ cup sized giftee. The bra is unpadded, and all three pieces feature a delicate gold bow and charm detail. I wouldn’t recommend buying a corset for someone who’s never expressed an interest in them, as they’re not something everyone enjoys wearing. If you know your giftee likes them though, or they’ve specifically asked for one, this is a great ‘beginner’ style as it offers a gentle waist reduction only. It’s also gorgeous! 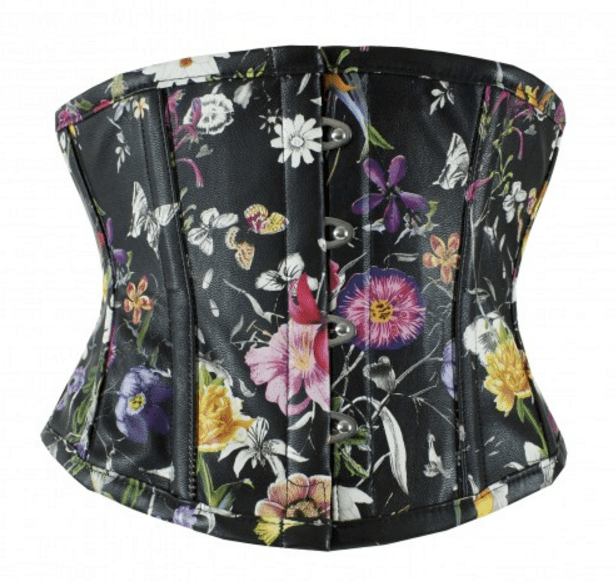 It’s easier to get the fit right with an underbust corset such as this as you only really need to know their waist size (remember to buy a corset with a waist that’s around 4″ smaller). A unique twist on the classic PJs-for-Christmas idea, these ones by What Katie Did are both perfect for the vintage vixen, and bang on trend since it’s all about velvet underthings this wintertime! I love the emerald green but they also come in an equally-festive red. Perfect for the eternal bedhead! Know someone who loves a good lie-in and has a penchant for pretty night-things? This silk and chiffon shirt has the shape and comfort of a classic, oversized-shirt style nightdress, but with added glam factor. If you’re buying for someone who loves designer labels, why not treat them to this beautiful bra set by Versace? It’s heavily reduced – the ‘was’ prices on Yoox are roughly half what the RRP would have been, meaning this set originally retailed for somewhere in the region of £500! However (and I see this a lot on lingerie by ‘designer’ clothing labels – why?) it’s sold by dress size i.e. available in UK 8-12 rather than band and cup sizing. I’d steer clear of this set if your giftee is full-busted, just in case. The starry embroidery on this luxury bra set reminds me a little of snowflakes, and the silvery-grey colour just adds to that wintry feel. It’s festive, but in a subtle way. A brief is also available if your recipient doesn’t like thongs. Lorna is one of AP’s bestselling ranges, and also one of their most affordable. The supersized, almost cartoonish-looking scallops are really cool, making this a bra set that is eye-catching but not so fancy it can’t be worn for everyday wear. What do you buy as a more-special-than-usual gift for someone whose lingerie style is usually basic whites? This simple yet beautiful and luxurious bra set of course, that features silk tulle frills and silk rosebuds! One of the stand-out lingerie sets from last winter, this incredible set is now half price. It’s (probably) completely unlike anything your giftee already has in their lingerie drawer, and of course perfect for someone who can never get enough bows! Apparently each one on this set takes 2 hours to hand-craft. Looking for a gift that’s decidedly cheeky? This handmade take on a classic French Maid set is part lingerie and part costume – perfect for dressing up, but without the suspender belt it also makes for a cute, casual bralette set for everyday wear too. Two in one gifts are the best right? The title of this post is a slight lie, as I couldn’t find a suitably gorgeous gift that cost dead-on £250, but if that’s your budget then again thanks to Damaris’ sale you can treat someone to this eye-catching bodysuit that would normally cost you £480! I love the way the giant silk bow makes this look like it’s already been luxuriously gift-wrapped. Which of these would be your gift of choice, for yourself or someone else? Don’t forget to check back tomorrow for my favourite gift guide of the year – the no-upper-budget one! Thanks for this amazing xmas lingerie guide. The patterns are absolutely gorgeous. I am thinking of treating myself to some pieces by Aubade Bahia.